And – as with the Scottish elections earlier this year – so with the Croatian elections pre-election speculation about gains for a pensioners’ party prove groundless amid low turnout and a polarized two-horse race. Unofficial results suggest that the reformed nationalists of the HDZ have pulled ahead of the ex-communist social democratic opposition, the reverse of what exit polls predicted. Meanwhile, the Croatian Pensioners Party (HSU) seems likely to drop from 3 deputies to 1 deputy – it’s the peasant party (HSS) are the winners in the minor party race this time – but not to be wiped out as exit polling had forecast. HSU leader Vladimir Jordan (pictured) may be spared the need to resign as he had promised if the party got no seats, but clearly has nothing to be cheerful about. At least, he didn’t promise to eat a beetle like the overconfident leader of the Czech Pensioners for a Secure Life party 1998. Minor party success though seems be as much about the disfunctionality and failure of established big parties than the inherent attractiveness of little interest parties. >Croatian ‘greys’ set for strong election result? As the Croatian elections approach, the government – the Javno website reports – quickly pays off 2.037 billion kuna owed to earmarked for the settling of debts to 462,888 members of the pensioners’ fund – the proceeds of privatizing the the T-TH telecoms company. Presumably this is intended to shore up the vote of the ruling HDZ and perhaps dish the Croatian Pensioners’ Party (HSU). HSU polls suggest may again cross the 5 per cent hurdle needed to enter parliament and could even finish third, gaining 7-8% of the vote 8-10 seats in the 150 member legislature, although as the HSU has been quite politically close to HDZ in the past this might, in fact, prove counterproductive. It may send a signal that a strong ‘grey’ party enables pensioners to gain what the political system would otherwise deny them. The HSU claims 47,000 members and – like Die Grauen in Germany – also have a youth section apparently comprising some 20% of this membership. Elsewhere in the former Yugoslavia , Euro2day notes quoting the FT, Slovenia’s DESUS – European’s most succesful ‘grey’ party – seemed unafraid of elections, having backed the (successful) rival presidential candidate to that nominated by centre-right coalition of which it is a member. It was said they might may not back the government in a vote of confidence, but in fact the DESUS leadership unanimously opted to do so. A huge (by Slovene standards) recent demonstation of up to 70, 000 trade unionist demanding higher wages and better social standards suggests a social climate in theiry favourable to DESUS, which perhaps explains why it might be tempted to become a semi-detached member of the coalition. DESUS and HSU recently held a meeting in Zagreb passing on good wishes to each other, exchanging experiences and unveiling (long-running) plans for a congress of European pensioners’ parties to be held in Ljubljana. My own paper trying to begin to make sense of Europe’s small pensioners’ parties now appears on the web on the site of the conference on minor parties I am going to in Birmingham next week: an overview of what’s out there and some hypotheses – derived from a large-ish literature about party formation – about why they are relatively successful in places like Croatia, Slovenia, Holland and Israel. Unfortunately, I have yet to come up with decent analytical strategy to unpick a mass morass of possibly relevant factors, so it is – as one of my colleagues kindly put it – still a piece of ‘exploratory political science’. Ahead of the parliamentary election, now expected on November 25th 2007, the opposition Social Democratic Party (SDP) has consolidated its poll lead over the incumbent Croatian Democratic Union (HDZ). The SDP first opened up a clear lead over the HDZ during the first half of 2007, following the illness and subsequent death of its leader, Ivica Racan. Under his successor, the 40 year-old Zoran Milanovic, the SDP has maintained its popularity, and in many polls appears to have built an even stronger advantage. Mr Milanovic says he would nominate Ljubo Jurcic as the party’s candidate for prime minister. 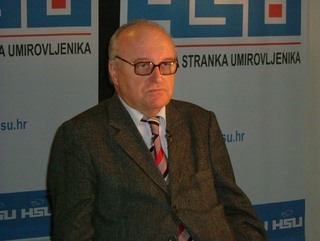 Mr Jurcic, a professor of economics, has only recently joined the SDP and is popular in his own right. Mr Milanovic’s recent statements on the importance of parliamentary control of elected governments have led to speculation that he might be coveting the role of speaker of the house in an SDP-led legislature. There have been suggestions that potential conflict between the political ambitions of the two men might produce some tension within the SDP. Nevertheless, the party is in a strong position in terms of support among voters. Even if November’s election results reflect current polls, the SDP will need to secure the support of several other parties to form a viable government. According to the latest monthly poll carried out by the PULS organisation for Croatian television, the SDP commands the support of 29% of the electorate, compared with 24% for the HDZ. If this pattern were repeated in a national election, the SDP could win as many as eight out of ten electoral districts and have 56 MPs, as against 42 for the HDZ. 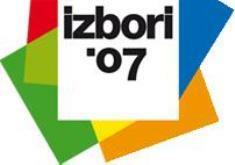 There is an 11th electoral district, composed of the Croatian diaspora, which traditionally elects HDZ MPs. Parliamentary representation from this district will depend on the number of votes cast, but in the previous election in November 2003 the votes of the diaspora secured four MPS for the HDZ. Radomir Cacic as candidate for prime minister does not appear to have helped the party, and the HNS seems to have lost support to the SDP in recent months.